Even though things might sound grim with the IO Interactive split, Square Enix proper is doing well. Really well, it seems. 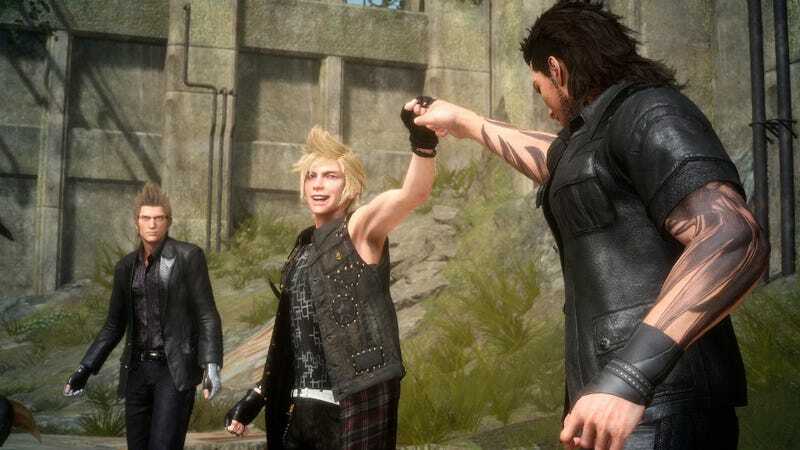 Year on year, Square Enix saw a 20 percent jump in net sales, a 20.3 percent increase in operating income, a 22.9 percent increase in ordinary income, and a 0.8 percent in profit. The increase in net sales, Square Enix says, was due to Final Fantasy XV and Rise of The Tomb Raider as well as strong download numbers for previously released titles. Smart phone and PC browser games also saw a big leap in sales, thanks to titles like Final Fantasy Brave Exvius, Hoshi no Dragon Quest, and Dragon Quest Monsters Super Light. Square Enix added that Final Fantasy Brave Exvius and Final Hearts Unionχ both saw success outside Japan. Another interesting tidbit: Square Enix’s manga comic book sales dipped, but it saw good numbers from strategy guides.